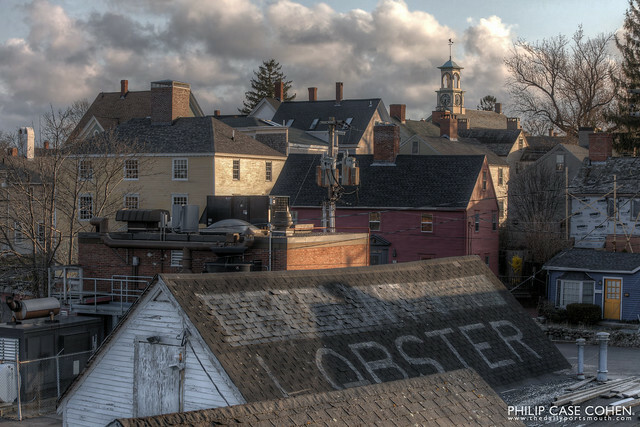 One of the areas in Portsmouth that has undergone the most change is the South End. This picturesque part of town used to be one of the seediest areas along the waterfront, hard to imagine with so many perfectly manicured homes. I love the rooftop advertising on this waterfront building, along with the layers of homes along the shore, the clocktower of the former Children’s Museum location, complete with a municipal water pumping station hidden in plain sight amongst it all.